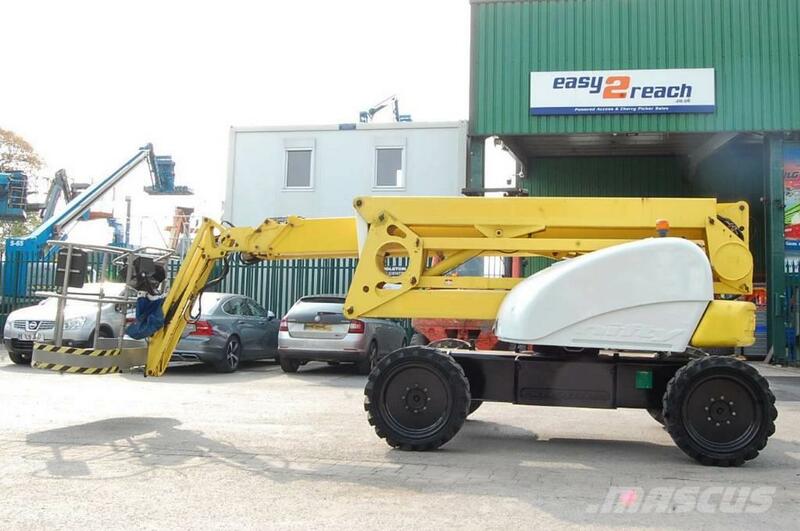 Other information/spec This Niftylift HR21D is in great condition, fully working and ready to use. It is ideal for rough muddy worksites and is the workhorse of the access industry. It has 4wd, rough terrain tyres and a reliable Kobota diesel engine. It is capable of carrying two persons and their tools up to a total of 225Kg, it will be LOLER tested before collection-delivery. The HR21 has an outreach of 12.8m and the added versatility of a Jib arm allowing it to come down onto or up under roof lines, it also enables it to fold up for transportation. We have an extensive list of nationwide Hauliers and can arrange delivery to your location. Alternatively we are setup to load at our location in Congleton onto a variety of vehicles. This Machine will leave with a NEW LOLER test performed by an independent IPAF CAP Certified Engineer. All batteries unless stated as NEW will come digitally tested, and PASSED as good to SAE battery testing standards.